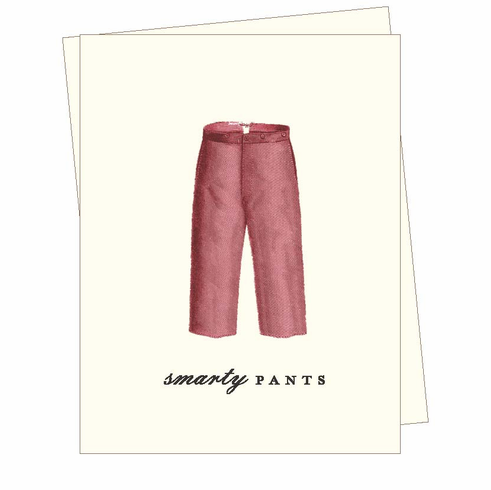 A vintage illustration of a pair of trousers is paired with the text "Smarty Pants." Perfect for a recent graduate or for congratulations on a promotion. Blank inside.